The Bluebonnet Party was a huge success again this year! 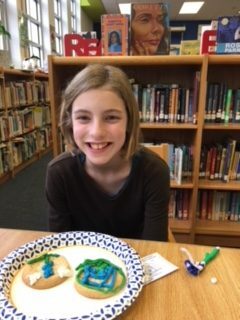 3rd-5th graders who read and filled out reports for at least 5 Bluebonnet Award nominees were invited to promote their favorite books to their peers, eat blue food, decorate bluebonnet cookies, drink blue punch, and most importantly VOTE on the book they hope will win for the state of Texas! Maybe a Fox by Kathi Appelt! 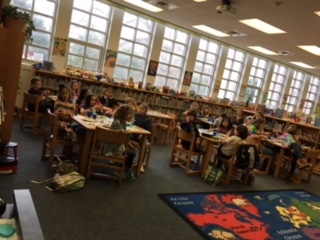 Congratulations to all of our Bluebonnet readers, especially friends that were invited to the Bluebonnet Party! 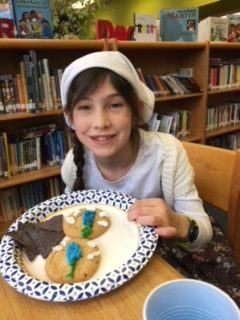 We can SEE how much fun you had at the party! If you’d like to read this Thunderbird pick or other Bluebonnets, please stop by the library and pick one up today!